I've written quite a bit about segregation and its impact on cities lately, and more specifically on its impact on people of color. I won't link to everything I've done recently but encourage you to scroll through articles here, and on my Forbes site. You'll find a reasonable flavor of the things I've written about segregation's legacy in cities. But today I wanted to use my own family history to show how it's had a personal and generational impact. My mom's dad was born in 1899, and her mother born in 1905. Both were born and raised in Alabama and came north as young adults in the mid-1920's. My grandfather moved north after an altercation with a white foreman at the steel mill where he worked made him a target of other workers; he escaped to save his own life. The story goes that my grandmother was in an abusive marriage in Alabama and she also escaped to save her life. They met and married in Detroit. My dad's parents were somewhat younger. His dad was born in 1920, his mom in 1922. My grandfather was born in Arkansas but moved to St. Louis at an early age. My grandmother was born in Georgia but also moved out of the south as a youth. My grandmother had been in Detroit for years before she met my grandfather; I believe my grandfather moved to Detroit as a teen during the Depression. They met in Detroit and got married in 1941, just two weeks after Pearl Harbor. See the tall evergreen tree on the right side of the street, and the other foliage behind it? That's about where my grandparents house was. It was a beautiful foursquare home on a small lot, probably built in the 1910's. My dad's dad held two jobs, with Ford Motor Company and with Wayne County, and was able to retire with pension benefits from both by 1985. He and my grandmother were able to buy a small Cape Cod home in Inkster, Michigan in the early '50s, where they stayed until both moved to live with my aunt in the early 2000's. They raised three children there; my dad is the oldest. Unlike my mom's parent's house, my dad's parent's house is still around. It's the one on the far right. The house looks exactly as I remember it from childhood. In fact, it's virtually unchanged from when my dad was a child. Both sets of my grandparents were able to establish excellent footholds into the American Dream, just like so many other families in America. But their ability to pass that dream onward and upward faced constraints that other families didn't have to face. My mom's family grew up just two blocks from the home of Ossian Sweet, a black doctor who in 1925 fought off a white mob trying to intimidate him out of the home he just bought. Sweet and several friends and family members were charged with murder. Sweet's brother Henry Sweet was tried first and acquitted by an all-white jury. Prosecutors dropped charges against all remaining defendants. 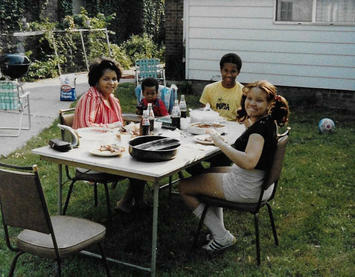 My mother's family moved into their home nearly 30 years after that event, but the neighborhood's inexorable downward spiral began the moment white residents elected to cede the neighborhood to blacks. That started a cycle of drastically reduced demand (only the eyes of black folks were looking at the homes), reduced values, deferred maintenance, disinvestment and reduced public services that crippled a community within a generation. 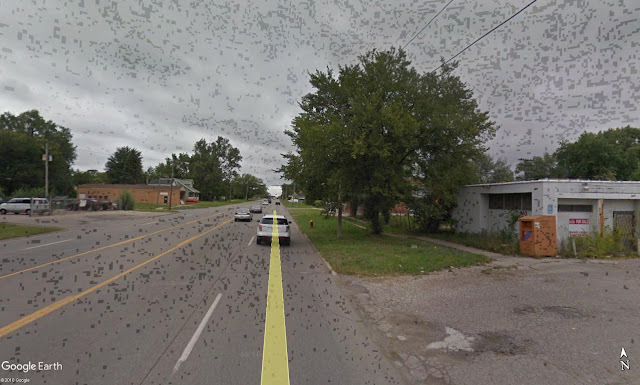 Twenty-five miles southwest of my mom's childhood home, Inkster is another interesting case of segregation. Inkster is immediately west of Dearborn, Michigan, home to Ford Motor Company's headquarters and its Ford Main plant. Dearborn was also famous for its long-time hostility toward blacks, notably under its racist mayor Orville Hubbard. Hubbard was mayor of Dearborn from 1942 to 1978. Since blacks who worked for Ford, like my grandfather, were explicitly excluded from living in Dearborn, Inkster became one of a handful of communities that, by default, black people had to live. The Downriver communities of River Rouge and Ecorse also became part of the constrained suburban options for blacks in the Detroit area. There was no transfer of generational wealth from my grandparents to my parents. But that's fine. Both of my parents were still able to parlay their working class/middle class upbringings into becoming first-generation college graduates. They met at Wayne State University in the early '60s and got married and had a child (me) in 1964. 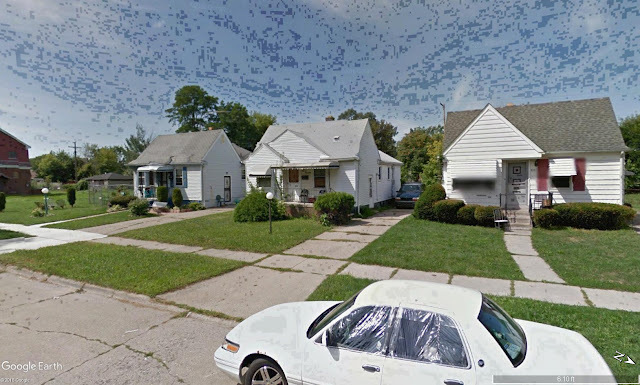 We lived not far from where the Detroit riots started in 1967, my earliest memory. With another child, my sister, on the way, they elected to get out of the tense environs near the riot's epicenter and buy a house in a more stable and comfortable area. That's my childhood house with the small tree in front and chairs on the front porch. We lived there for thirteen years. When we moved in in 1968 we were maybe the seventh or eighth black family on the block, out of maybe twenty homes. I don't recall any outright hostility toward us or any of the other black families on our block then, but hey, I was only 4 or 5 years old. What I do recall is that by the time I started first grade in 1970 our block was entirely black, except for the O'Grady's across the street. The O'Grady's lasted on the block until about 1978, when their adult kids moved them out. Outright hostility and intimidation wasn't something that was necessary by then. Most people knew the drill -- once blacks move in, cede the ground and look elsewhere. The transformation was swift. Unlike the neighborhoods of my grandparents, the neighborhood of my childhood home hasn't fallen quite as far. It's still the home of some of the neighbors I remember from nearly 40 years ago. But in part because of segregation, and an overall moribund regional economy for the last half century, it lost a certain level of demand over time. My last visit to the block happened this past May. The neighborhood has remained at a weird level of stasis for a very long time; it looks exactly the same in 2018 as I remember it in 1978. The sense of stasis is reflected in the minimal appreciation in home value. My parents bought it in 1968 for $17,500 and sold it in 1981 for $36,000. Zillow's zestimate for the home today is $72,100. There was no transfer of generational wealth from my parents to me and my siblings, either. I'm not writing this to suggest that my parents could or should have been wealthier than they are, nor am I suggesting the same for me and my siblings. In our respective careers we've all done quite well. My dad is a retired A.M.E. Church pastor who spent 41 wonderful years in the ministry. My mom had a varied career that took her from working in the drama department at the University of Detroit to community college work in Chicago's south suburbs. My sister has been a federal government contractor in northern Virginia since the '90s; my brother is a college psychology professor in Brooklyn. And readers here know of my planning and urbanism career here in Chicago. All of us are happily married with fantastic kids. We've done well and live well. The two researchers focused specifically on inheritances among families where at least one parent has a college degree. They looked at families like this in order to test the notion that higher education is a great equalizer. The differences that they found between black and white families were stark. “Among college-educated black families, about 13 percent get an inheritance of more than $10,000, as opposed to about 41 percent of white, college-educated families,” Taylor said in a release announcing the new research. More specifically, white families that receive such an inheritance receive, on average, more than $150,000 from the previous generation, whereas that figure is less than $40,000 for black families. The head start on wealth via inheritance has intergenerational repercussions. It could mean a college student has the ability to accept an unpaid internship that provides valuable work experience, without worry. It could mean repaid student debt, or no student debt at all. It could mean a down payment on a home purchase you'd otherwise be unable to afford, at a relatively young age. It could mean the chance at pursuing your career passion, instead of intensely focusing on providing for yourself and your family. 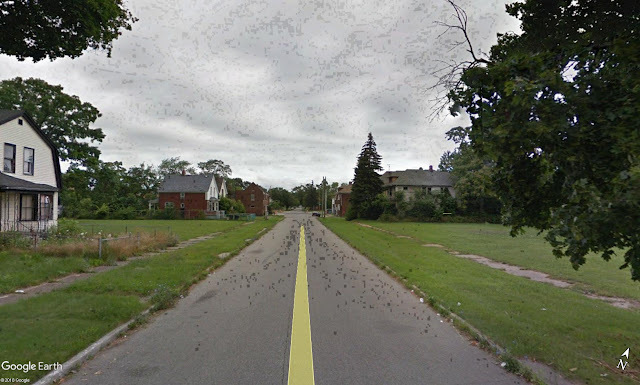 But what happens when communities are allowed to decay to the extent that Detroit's East Side and Inkster have? There's no chance at intergenerational transfer. Let's come back to my parents' pleasant old house in Detroit. Again, they bought it for $17,500 in 1968, sold it for $36,000 in 1981, and it is estimated to be worth $72,100 today. It is a wonderful home, and it's as affordable as they come. However, it's appreciated at a rate less than the rate of inflation for fifty years. That's right -- CPI measures suggest that a home purchased in 1968 for $17,500 would've cost $43,000 in 1981, by virtue of inflation alone. And that same home would be worth $107,000 today. A far cry from the $36,000 sale price in 1981 and $72,100 estimate today, and even further from the real estate windfalls witnessed in other places for decades. 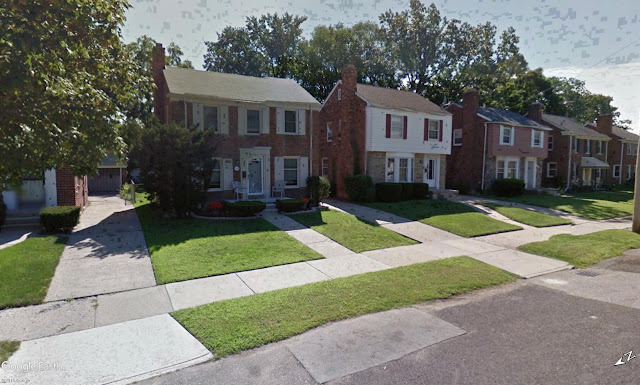 And I don't buy the argument that that's the price one pays for living in the economically challenged Detroit metro area -- a similar home in suburban Ferndale, less than five miles from my Detroit neighborhood, is estimated to be valued more than four times as much. Our society has long determined who accumulates wealth, and where it's accumulated. Submitted by CapitalistRoader on Fri, 08/03/2018 - 11:10. My mother's family moved into their home nearly 30 years after that [Ossian Sweet] event, but the neighborhood's inexorable downward spiral began the moment white residents elected to cede the neighborhood to blacks. That started a cycle of drastically reduced demand (only the eyes of black folks were looking at the homes), reduced values, deferred maintenance, disinvestment and reduced public services that crippled a community within a generation. It seems as if black society determined to let their new neighborhoods deteriorate, thus killing any hope of inter-generational wealth transference. Why is that? I've noticed that in historically black neighborhoods in my city blacks are leaving and Hispanics are moving in, fixing up the housing and making landscaping improvements, thus increasing home values.